Here is my adapted recipe of the lovely focaccia mushroom leek stuffing from the Williams Sonoma Thanksgiving Catalog, on page 20. That I was tempted to nibble on, but decided to freeze it instead for our Thanksgiving meal. I prepared two stuffing recipes. One for the carnivores with chorizo, and cornbread, and this one for the vegetarians with focaccia, mushrooms, and swiss chard for all the different dietary lifestyles in the family. 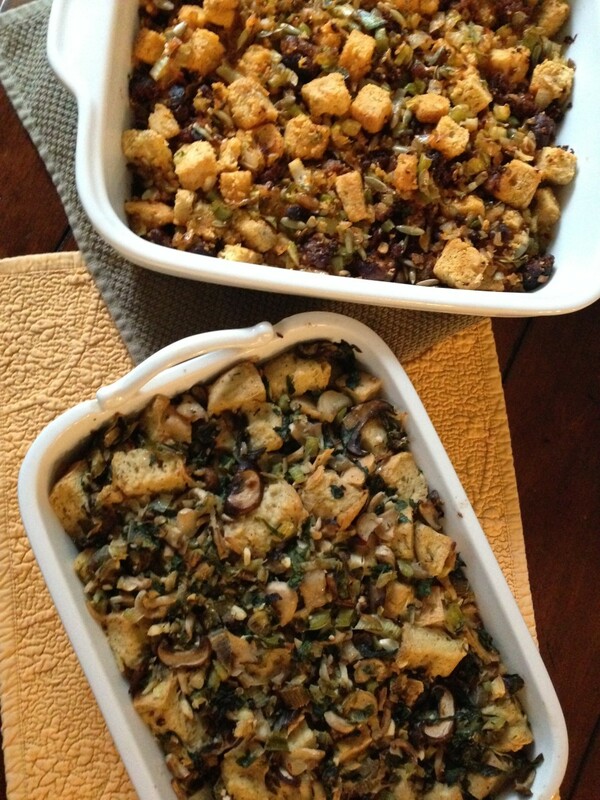 I also have a vegan stuffing recipe for our friends (see here). If I filled it with additives and preservatives it could sit in the refrigerator for nearly three weeks, but I didn’t so in the freezer until the night before Thanksgiving. Sorry processed food companies for calling you out, but homemade is SO much tastier and good for you. Then everything goes into the refrigerator for defrosting. The concept of freezing dishes may be new to some, but I am telling you my friends, it usually tastes just as delicious, for recipes like these, as prepared the same day recipes, when wrapped, sealed and stored properly for freezing in freezer bags or containers. I understand how holiday cooking can be intimidating when prepared all at the last minute. I cannot say it enough how preparing foods ahead makes the holidays enjoyable. Cooking doesn’t have to be hectic and crazy. We want to enjoy the holidays not feel like it’s pressure! From the nibbles I had here and there (can never resist) what stood out the most were all the different wild mushroom flavors, focaccia, then the sweet onion, and leek. 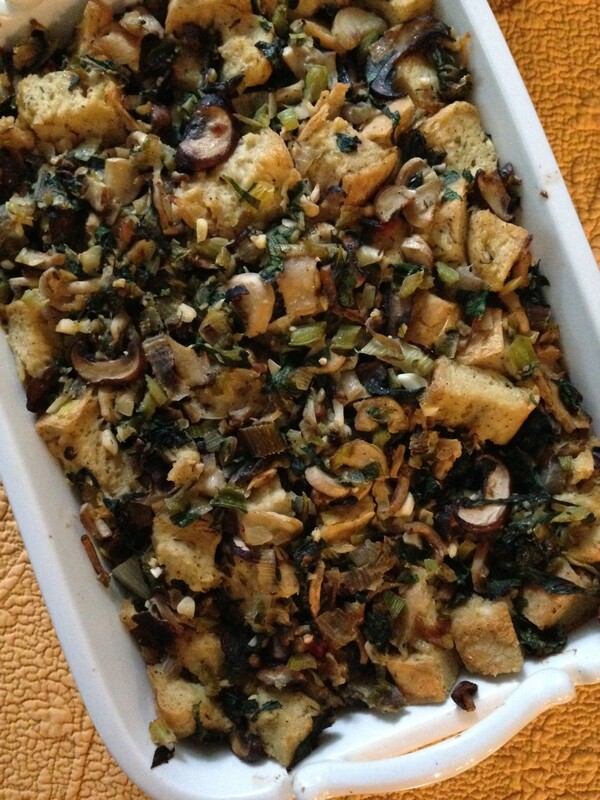 A twist on traditional meat stuffing, this vegetarian stuffing is packed with robust flavor. Less than three weeks away to dig into more than a nibble. The restraint. Brutal. 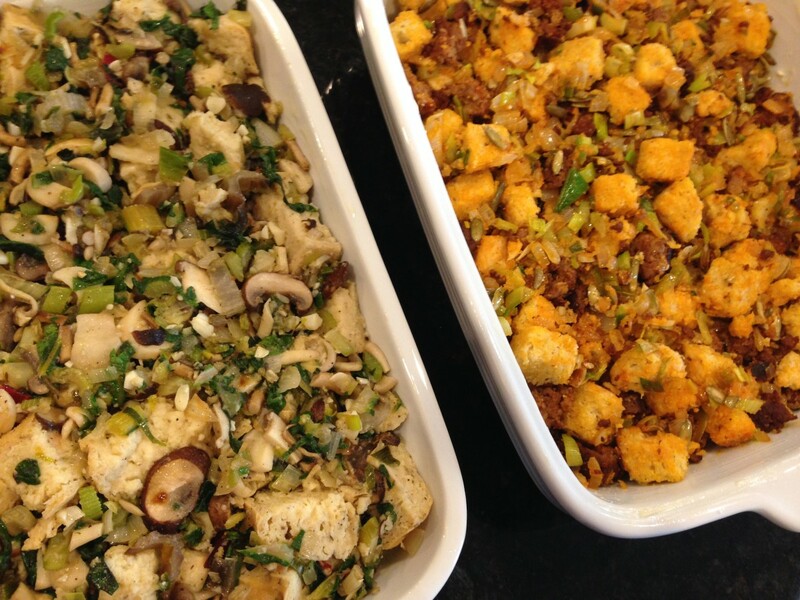 An easy, and delicious stuffing recipe to add to your Thanksgiving menu … enjoy! Preheat an oven to 375°F Grease a 9-by-13-inch oven safe baking dish with olive oil, or non dairy soy free spread. In a large sauté pan set over medium high heat, add olive oil. Add leek, onion, celery, salt and pepper. Stir to combine well. When onions are soft, translucent, and just beginning to brown on the edges, about 5 minutes, add mushrooms and sauté until browned, another 5 minutes. Add garlic and thyme. 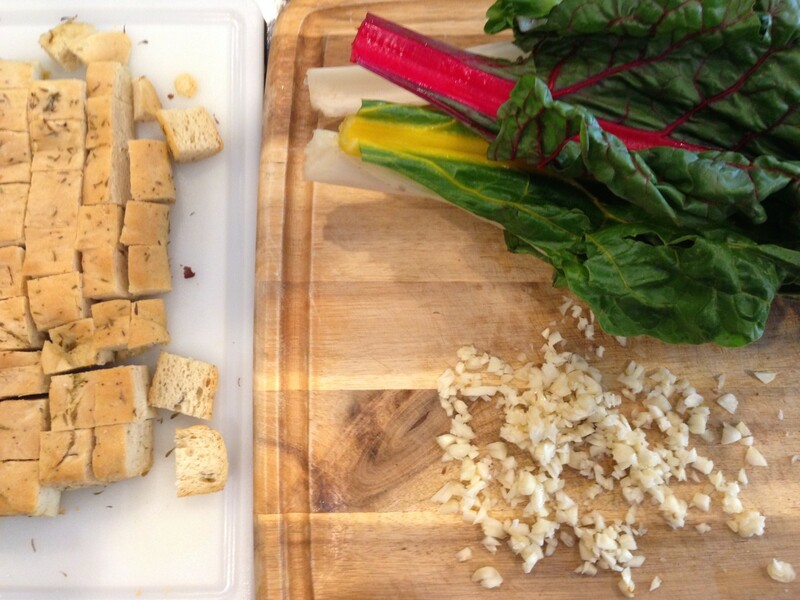 Add swiss chard. 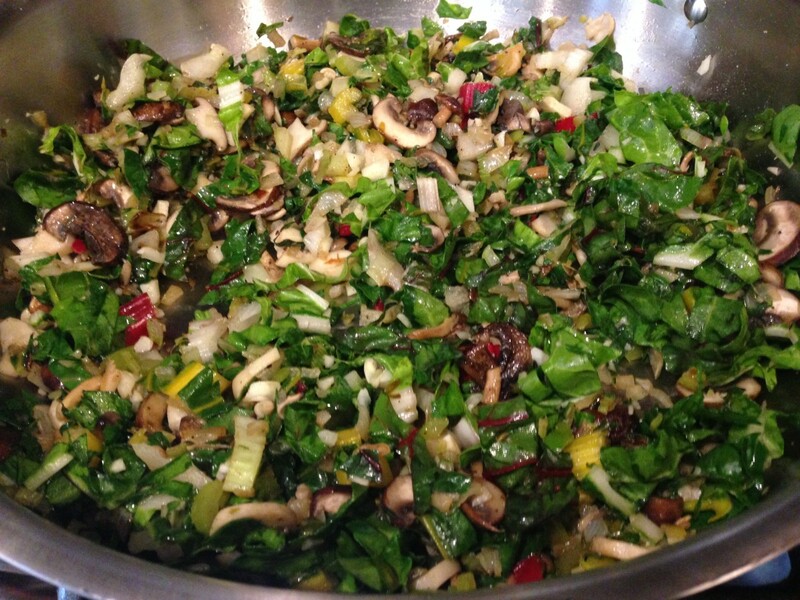 Stir to combine for 2-3 minutes, until chard has softened. 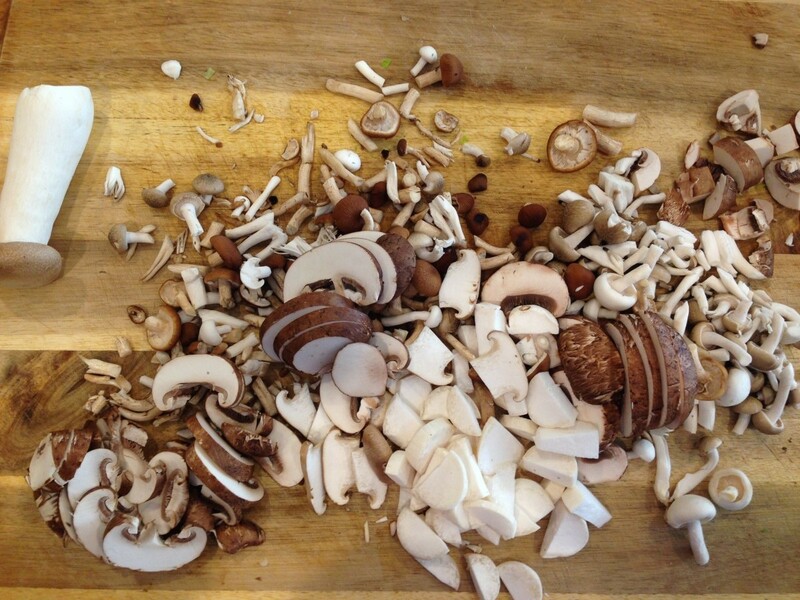 Note: It may seem like a lot of mushroom but it will reduce down quite a bit. Turn off heat, then add cubed focaccia bread to the mixture, toss gently until well combined. Transfer to the greased baking dish. Slowly, and evenly throughout, add vegetable stock to the stuffing mixture. Note: Don’t push the cubed bread down in the baking dish or toss the mixture too long as this could make the bread mushy, or break apart. Bake the stuffing for 25-35 minutes. That’s the chorizo cornbread one on the right. My neighbor and I were just talking about making a stuffing with mushrooms and my daughter sent your post to me! This looks absolutely delicious, I found this bread on Amazon and look forward to trying the recipe along with my stuffing recipe with apples, cornbread and sausage. Two this year! Extra garlic would not alter the recipe at all, go for the garlic Larry, bet it will be delicious! 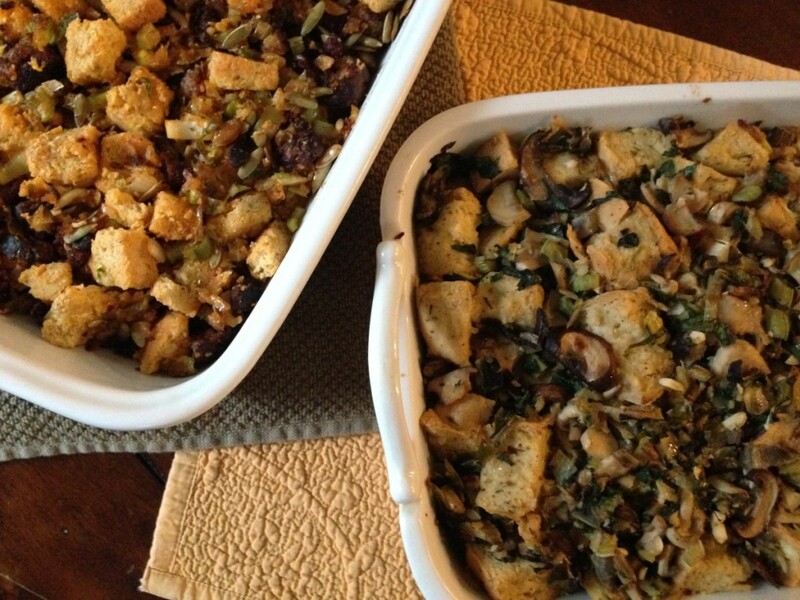 I like what you did with these two stuffing recipes, side by side!! I love this bread! We eat it all the time. I would have never thought to put it into stuffing. Great idea! I like your bread to filling ratio. Most stuffings are all breading. This is going on my holiday table!! 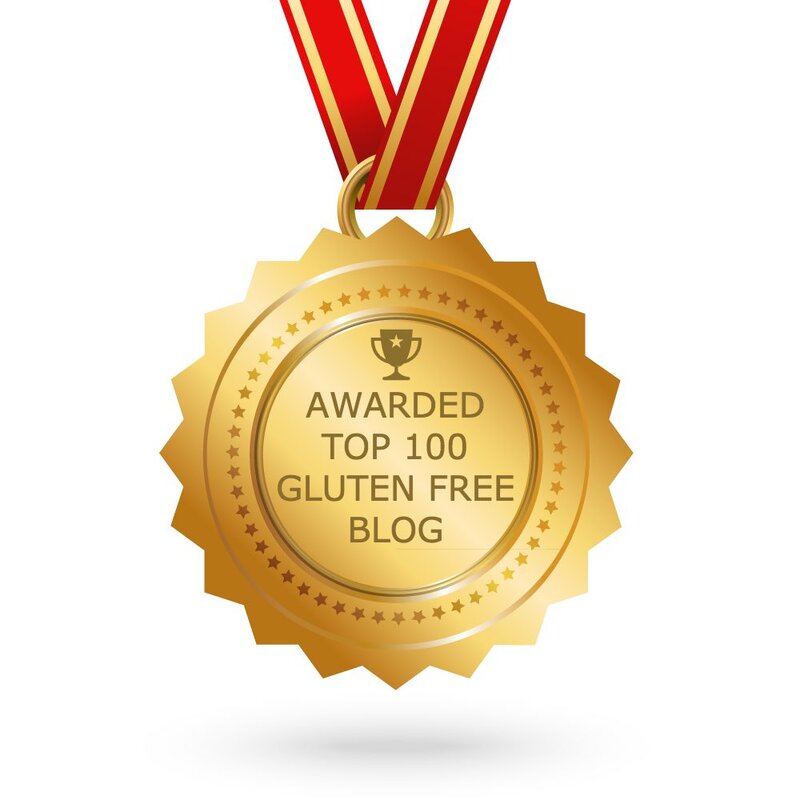 I didn't know there was a focaccia gluten and dairy free! Just ordered it online for this. Can't wait to try this. We love mushrooms and I miss having focaccia since my celiac diagnosis 2 years ago. 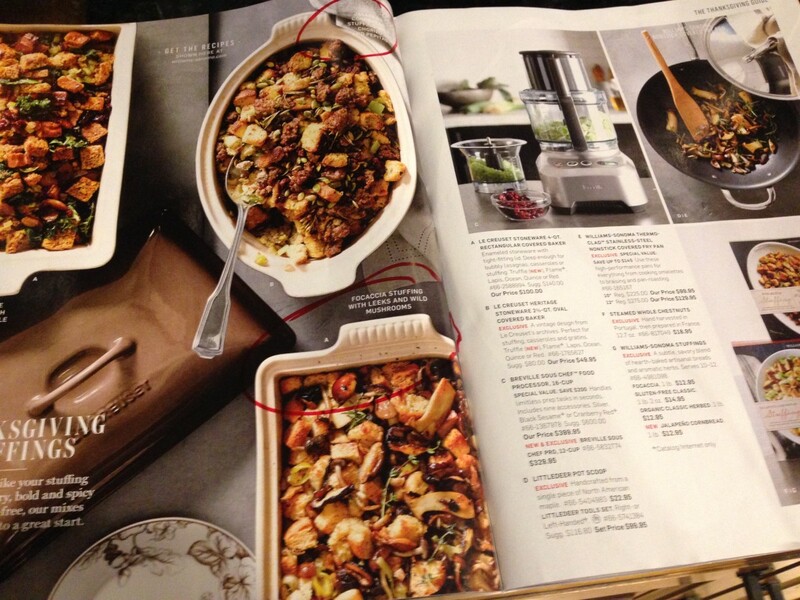 It's a nice change for stuffing recipes. Nice stuffing recipe, I just may be making this one instead. This looks delicious! I love this bread and think it's brilliant to adapt the recipe in WS Catalog using this focaccia. Thanks for the recipe. Cant wait to try this. I just saw your stuffing in my Canyon Bakehouse email and this looks beautiful! I usually add white mushrooms to my stuffing with sandwich bread cubed, but after seeing this in my Canyon Bakehouse email I think I'm going to kick it up with your recipe. Focaccia with wild mushrooms sounds so gourmet and delicious. I can't wait to feast on this! What a nice combination of flavors. Yummy. And thanks for the coupon link on the focaccia! This looks amazing and so much like the one in the catalog! Such a great idea to use the focaccia for this. I always buy it and serve it as is. Didn't think about stuffing. I will be making this and your the vegan stuffing I found from an older post. Excited to try your recipes, they look very gourmet. Can you prepare this the day before and bake on the next day? You can, just leave the focaccia out and add it to the mixture before baking to keep it's texture. Enjoy! Thanks! Two more questions-do you toast the bread first? Also I see the ingredients call for thyme-but I don't see where in the preparation you add that in-am I missing something? Your welcome Cristina! I did not toast the bread first to give it more of a cornbread like texture. If you like a crouton texture, then yes toast the bread. Oops, I see I left the thyme out of the preparation! Thank you for pointing that out :) Add it in with the garlic. I went ahead and corrected that. I finally got the foccacia bread you used after special ordering at my market and it's very good. I made the stuffing today but without the bread (adding it tomorrow). I'm very happy with the results, it is delicious! 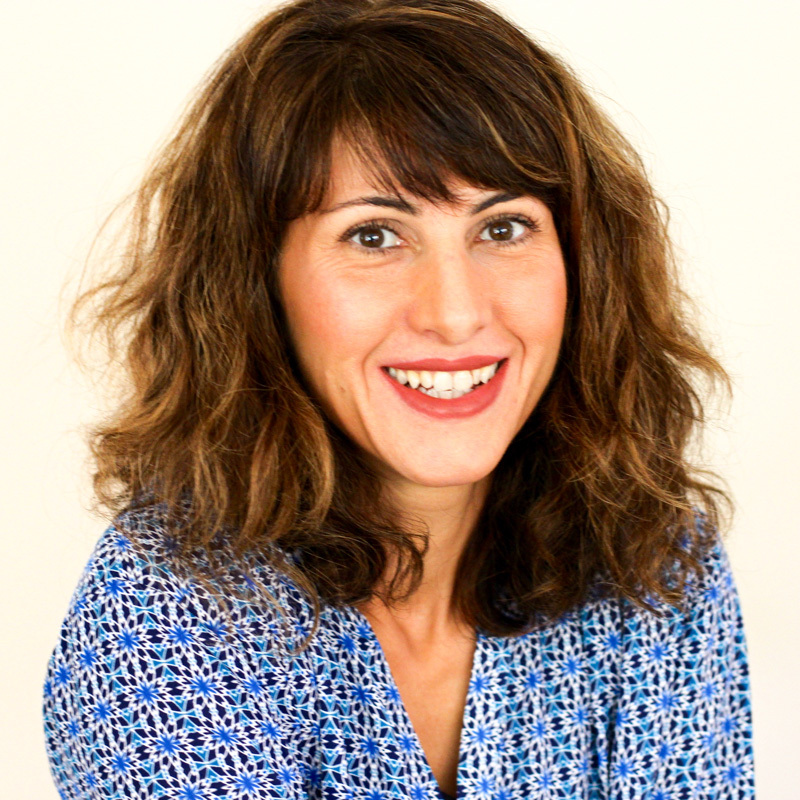 Yay, happy to hear Tina! We love it too. Happy Thanksgiving!